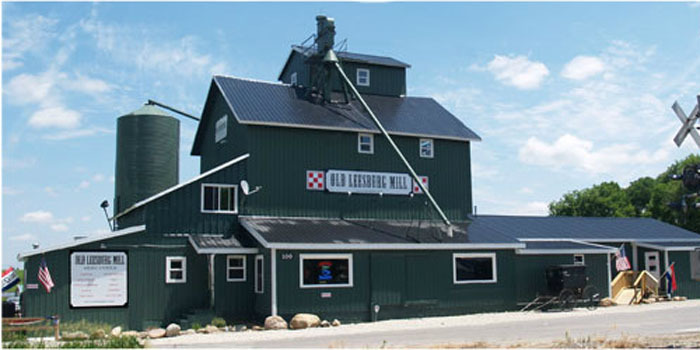 Leesburg — Plans are underway for a new transformation to the Old Leesburg Mill. Former classmates Stefan King and Joe Hull are planning to turn the Old Leesburg Mill into Hoplore Brewing, a brewpub and tapas restaurant. Hoplore Brewing will specialize in locally brewed craft beer. The tapas restaurant will feature smoked meats and a menu of small, shareable dishes. Besides their own brews, they will also offer a selection of other beer as well as wine. The entire bar and restaurant will be nonsmoking. They plan to have 12 taps of their own beer, ranging from Creme Ale to Russian Imperial Stout. King, who is the general manager of the Barbee Hotel and Danny’s Sports Bar, will be the CEO and marketing manager of Hoplore. Hull, who has a background in biotechnology, will be the head brewer. They anticipate opening in mid to late spring of 2017, although this timeline is tentative and will depend on several factors, including the length of time it will take to get their federal license. King and Hull are attempting to raise money for start up costs through crowdfunding at Indiegogo where people will be given rewards for their donations. Reward packages range in price from $25 to $4,000. There are various levels of donation packages, such as a $25 donation for which you will receive a pint glass and a sticker. For a $75 donation you can earn a supporter program pack consisting of an exclusive tee shirt, an invite to the pre-opening party, a keychain, a pint glass and a sticker. For a $500 donation you can enjoy a private tour of the facility with the head brewer, a dinner for 10 afterward and a special commemorative branded pint glass for each of the 10 guests. At this time, they have raised $852 of their $30,000 goal. The crowdfunding campaign ends on December 17, 2016; however, you can still donate money to Hoplore and earn rewards after that date.